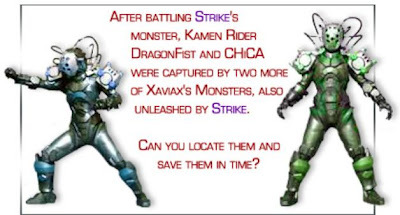 ~CHiCA Kosaka~: Vacation/CHiCA Kosaka & Kamen Rider DragonFist CAPTURED!!! !/A Night of DDR and Diesel's Loconess!! Vacation/CHiCA Kosaka & Kamen Rider DragonFist CAPTURED!!! !/A Night of DDR and Diesel's Loconess!! Well,Memorial Day vacation is here.Unfortunately I have to do a DBQ essay.I really hate this! I went to TAP last night to start off my vacation.Played a bit of DDR and so many peoples came that night,including my buddie,Diesel who was dying to AA Max 300 on Heavy...He did and went completely loco!Haha!What a fun night but meh,I had to leave because it was almost 10pm!Who cares about the time?!?! ?